Whenever I am walking through the “dollar section” at stores my mind starts ticking away. 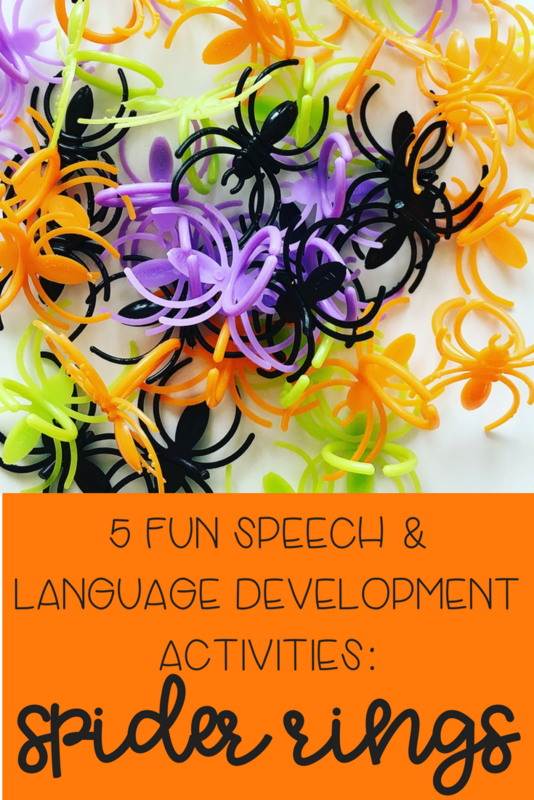 I can’t help but think about at all of the different activities that can be done to promote speech and language development. The endless creative brainstorming is probably one of my favorite things about being a pediatric speech pathologist! I am going to start doing a “5 Fun Activities” series with basic items that you can easily find in the dollar section of stores. 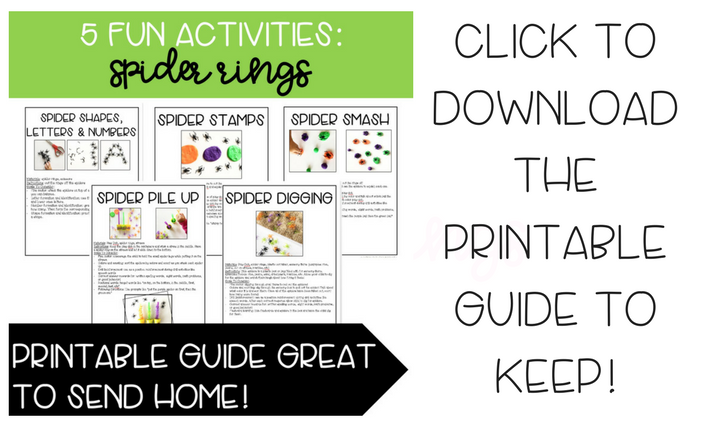 This post is all about spider rings and ways you can focus on fine motor, speech, and language development! I also have all of this information available in a easy printable format for you to keep in my store! Ok…. so lets get started!! Instructions: Keep the play doh in the containers and stick a straw in the middle. 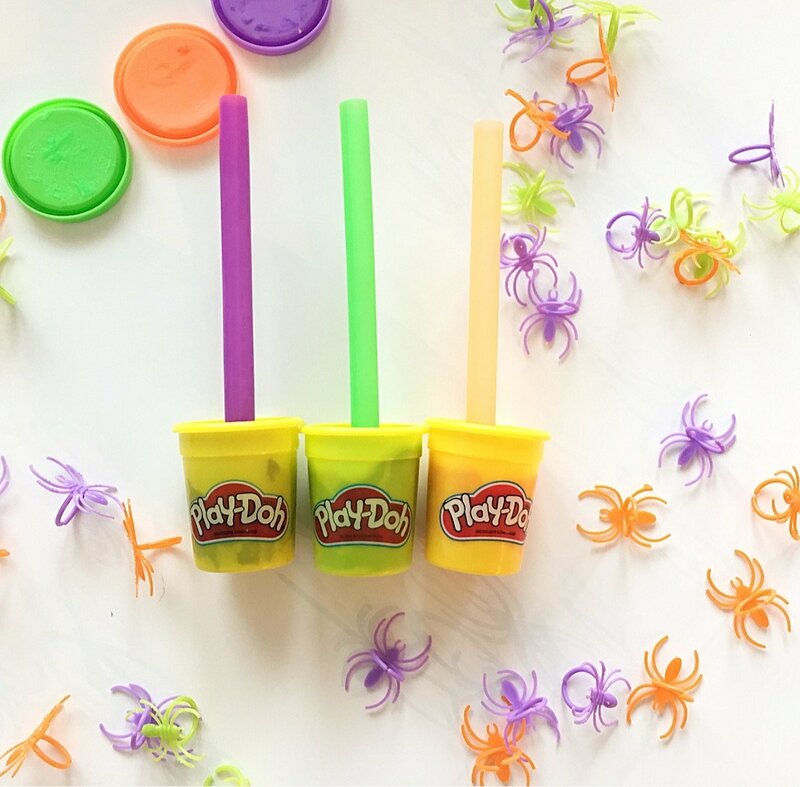 Place a spider ring on the straws and let it slide down to the bottom. 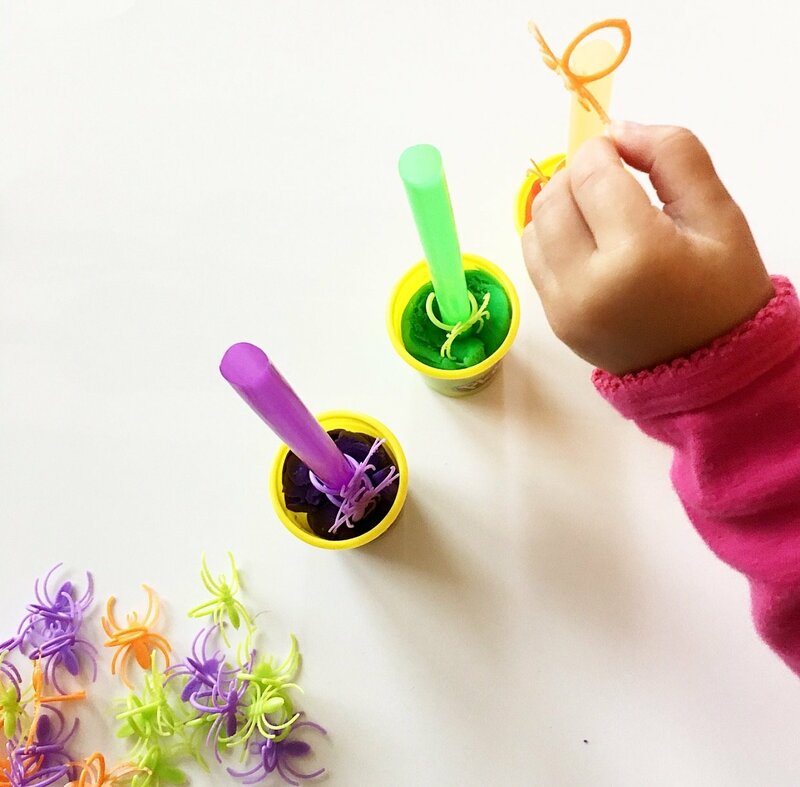 Fine motor: encourage the child to hold the small spider legs while putting it on the straws. 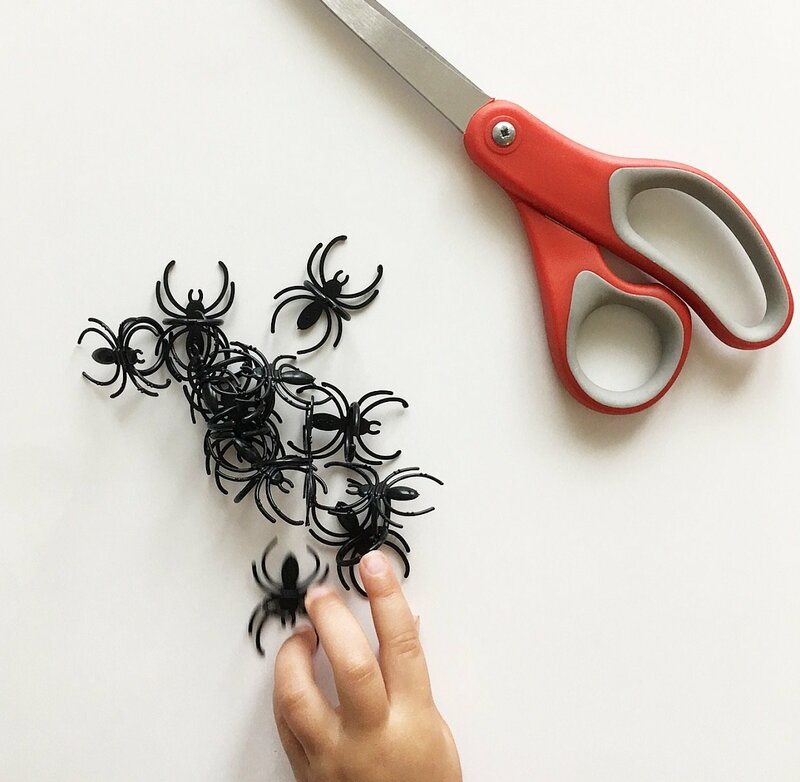 Colors and counting: sort the spiders by colors and count as you stack each spider up. Correct answer rewards for: written spelling words, sight words, math problems, or good behavior! Positional words: target words like “on top, on the bottom, in the middle, first, second, last, etc”. 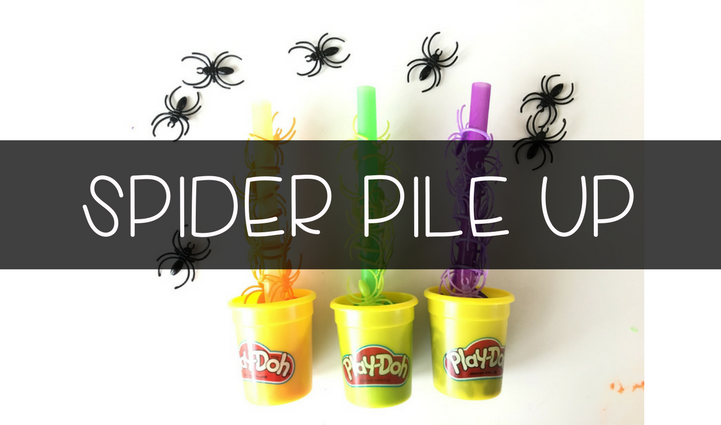 Fine motor: stack the spiders on top of each other and see how many you can balance. 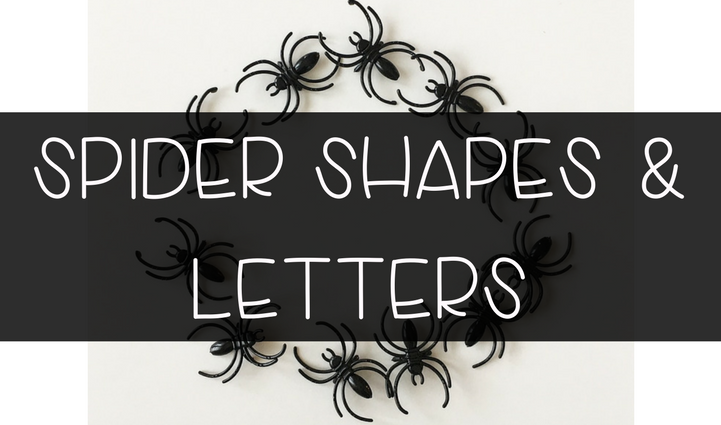 Letter formation and identification: use the spiders to make upper case and lower case letters. 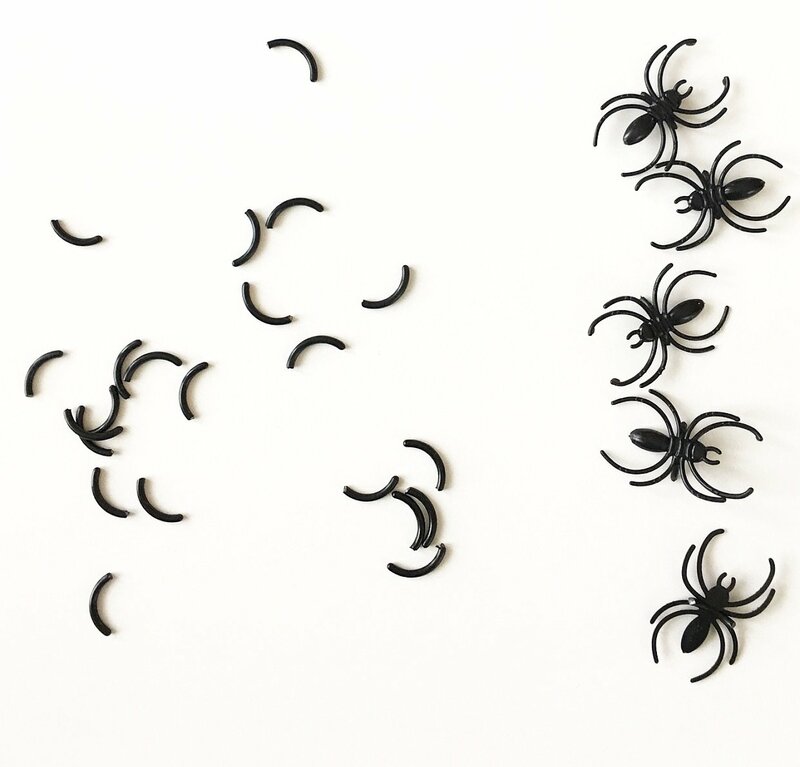 Number formation and identification: grab a handful of spiders and count how many. Then form the corresponding number with the spiders. 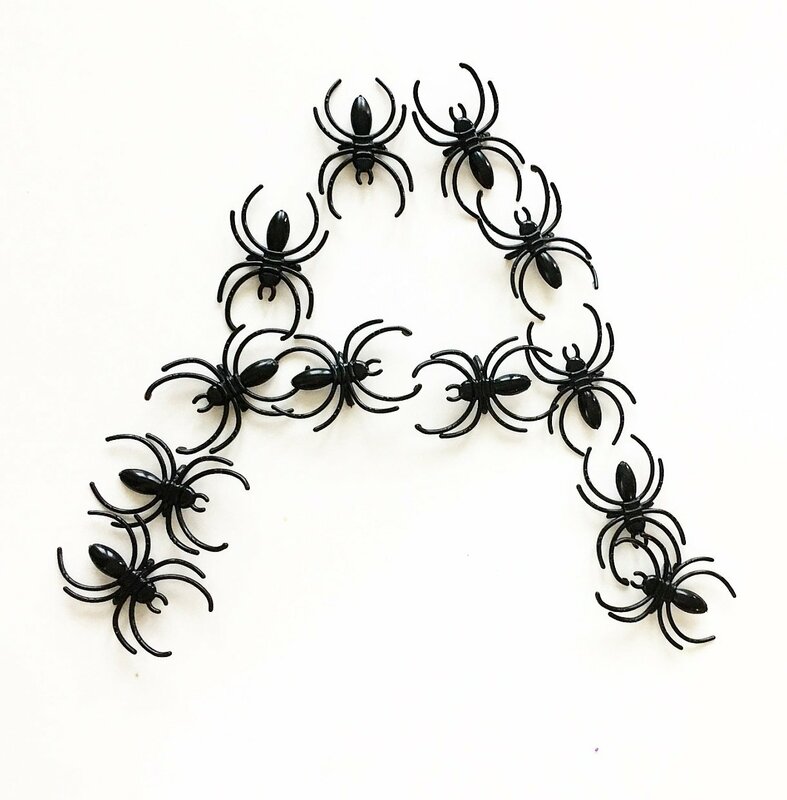 Shape formation and identification: practice moving the spiders to form a shape. 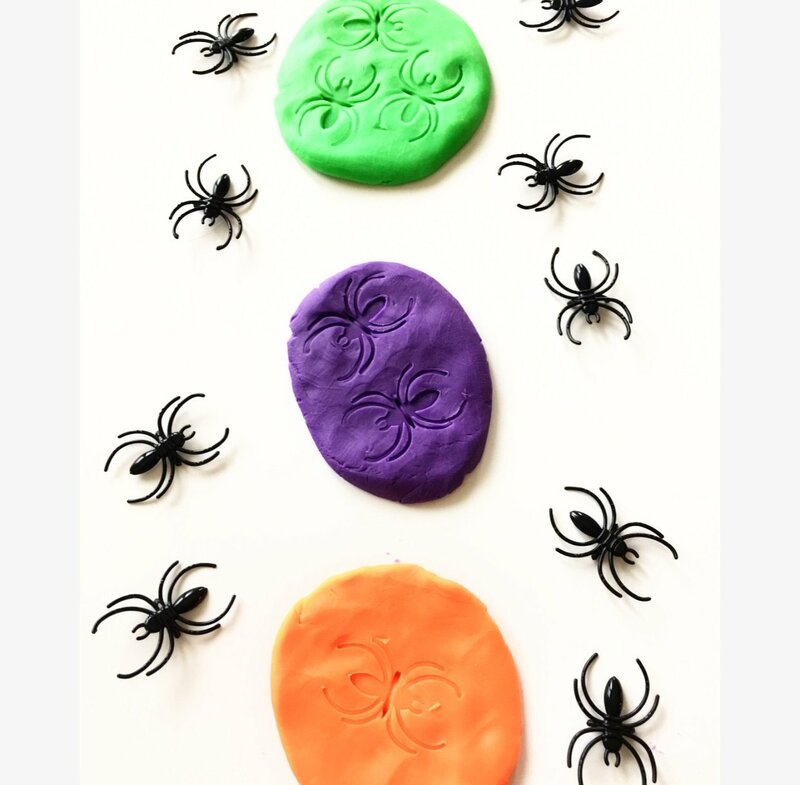 Instructions: make small balls of play doh and use the spiders to squish each one. 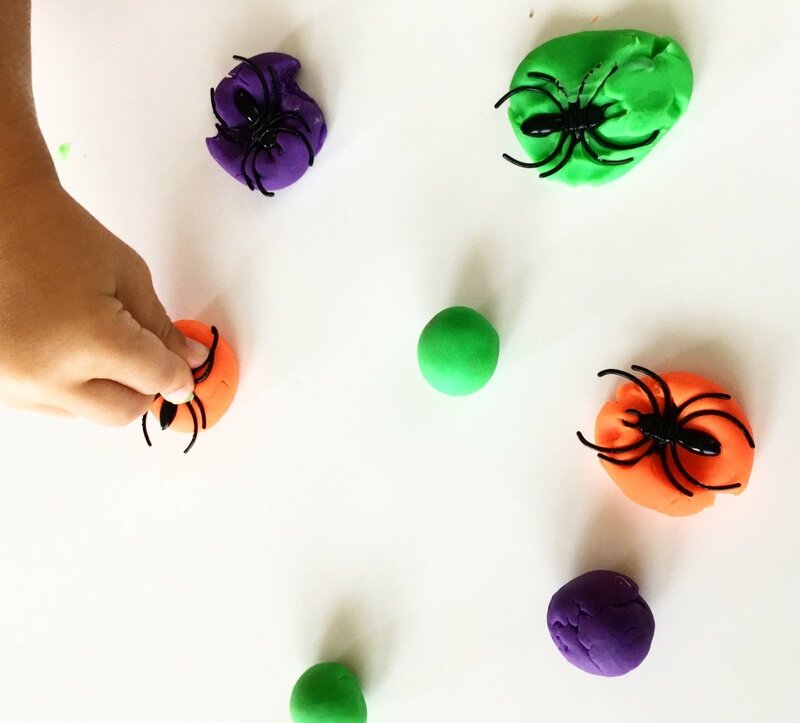 Colors and counting: sort balls of play doh by color and talk about which ball the spider is smashing. Count the balls of each color play doh. Fine motor: practice rolling small balls of play doh and squishing to make flat circles. Carefully hold the body of the spider and push down. 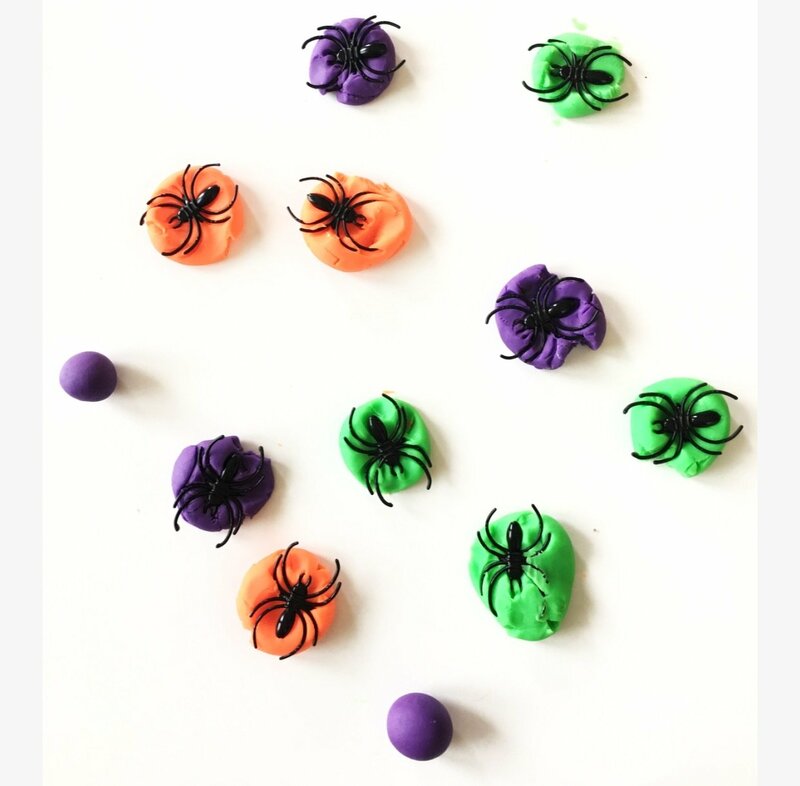 Colors and counting: sort balls of play doh by color and talk about which ball the spider is stamping. Count how many stamps are on each circle. 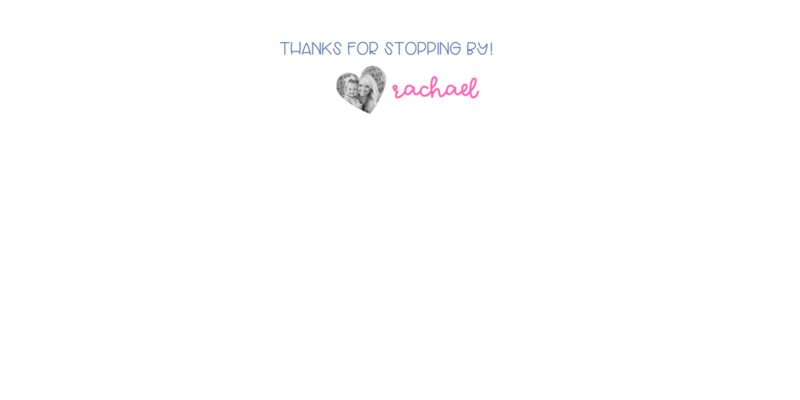 Drill Reinforcement: use as a positive reinforcement during drill activities like speech words. 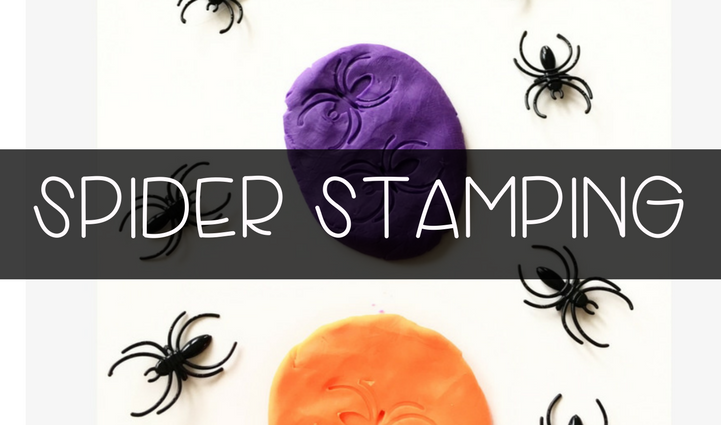 After each correct response allow child to stamp the play doh. 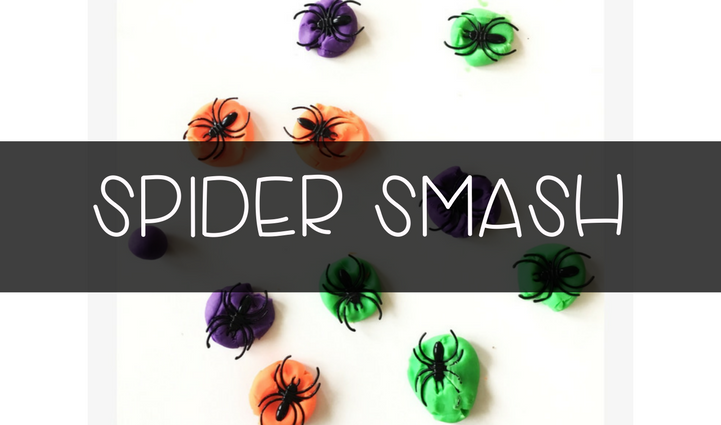 Instructions: Hide spiders in a plastic box or bag filled with fun sensory items. Examples include: rice, beans, sand, dried pasta, marbles, etc. 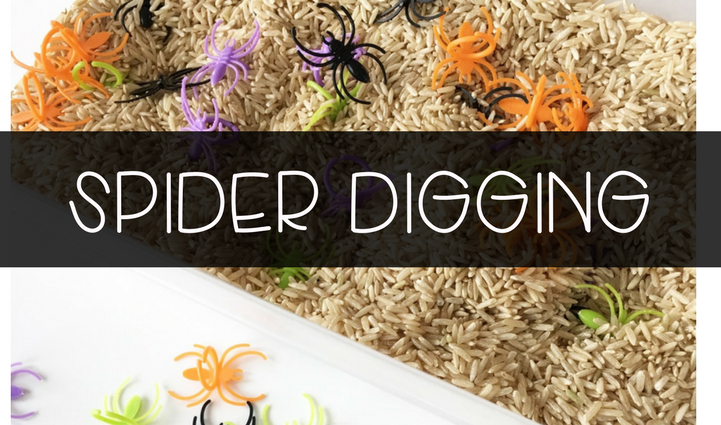 Allow your child to dig for the spiders and watch them laugh about how funny it feels! Fine motor: digging through small items to pull out the spiders! 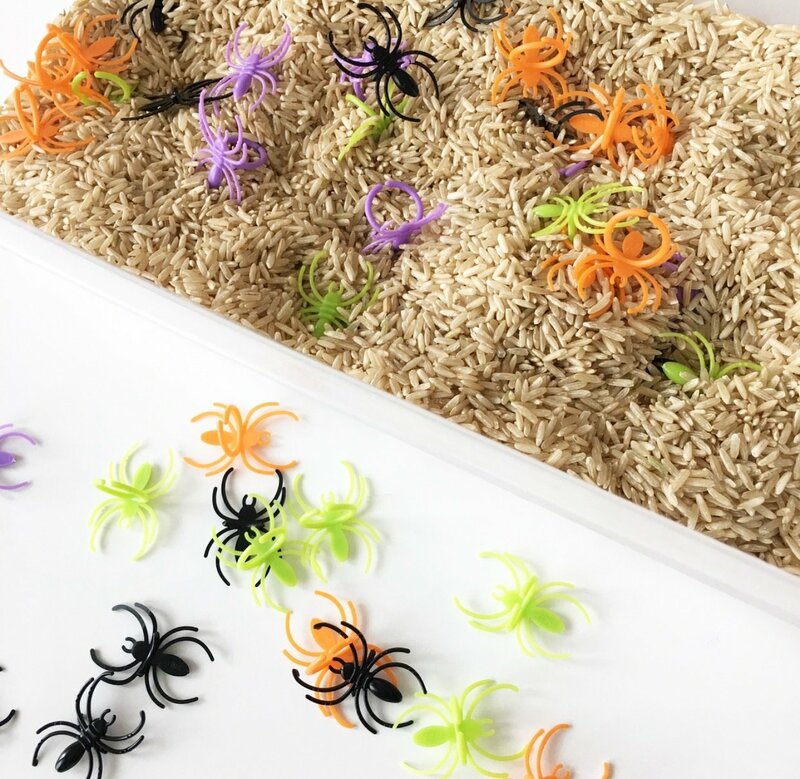 Colors and counting: dig through the sensory box to pull out the spider! Talk about what color it is and sort them. Once all of the spiders have been taken out, count how many were found! Drill Reinforcement: use as a positive reinforcement during drill activities like speech words. After each correct response allow child to dig for spiders. Flashcard learning: hide flashcards and spiders in the box and have the child dig for them. I hope you all enjoy these open ended activities as much as we did! 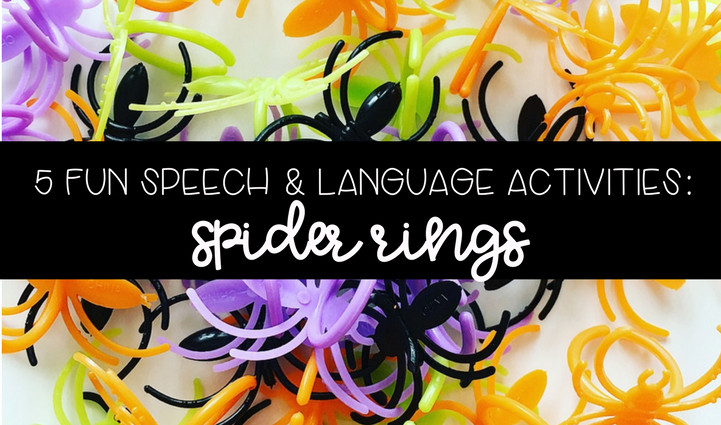 I love the endless possibilities that promote speech and language with just a $1 bag of spider rings! Feel free to pin the image below! 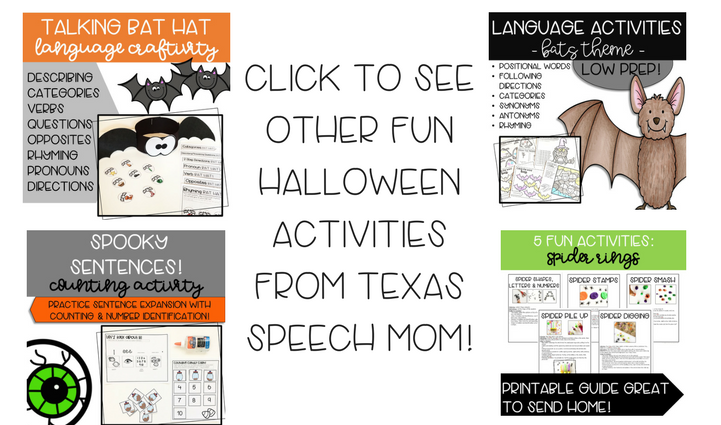 « Talking Bat Hat Language Craft!